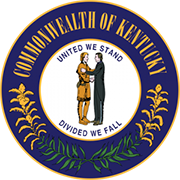 The Business Services Division of the Kentucky Secretary of State registers and records all business entities registered with the state. Any information you want regarding the formation and status of any registered business entity in the state can be found in the database of the Division. Entities whose information you can access include Corporations, Limited Liability Companies and Limited Partnerships. 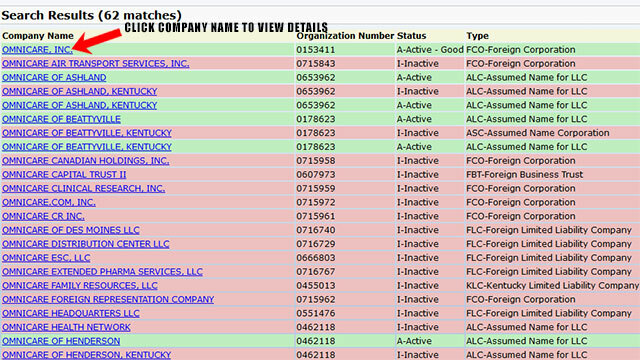 The online search tool provided by the Kentucky Secretary of State lets you search through the Division's database for details on registered business entities in the state. To start your search, you must know the entity's Business Name or Business Number. View the step by step guidelines on how to use the Kentucky business search page below. 1. The first step is to access the Kentucky business search page by clicking here. (it will look similar to the screenshot below). 2. To search for a business name, enter the full or partial name (if partial, it must contain a minimum of four characters). You can also enter the Business Number if you have it. 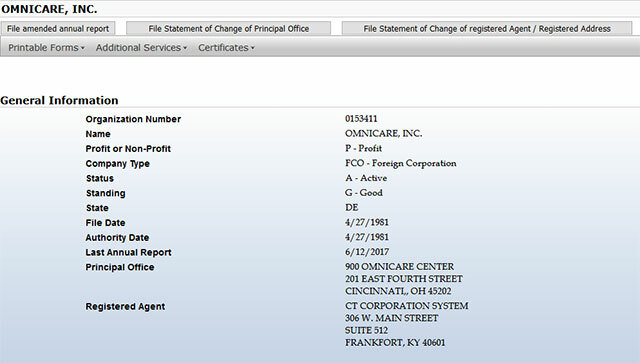 For this example, type the business name "Omnicare" into the "Name" field. 3. Click on the "Continue" button, and the Results Page will then appear (it will look like the screenshot below). 4. You can click on the entity's name to access more information like Type, Standing, Status, State, File Date, Authority Date. You can also download annual reports by scrolling down the Results Page. The Division allows you to form new entities online, or file online reports, if you already own an existing entity. An elected constitutional officer , the Secretary of State of Kentucky exercises a wide variety of roles in the affairs of the state. Currently, the officeholder is Alison Lundergan Grimes, a Democrat who is in her second term of office (she was first elected on November 8, 2011).